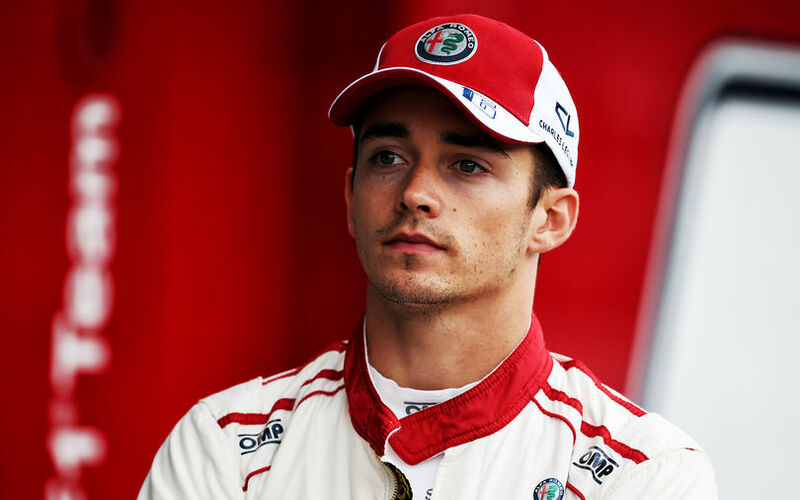 Along with the departure of Kimi Raikkonen to Sauber, Scuderia Ferrari will welcome Charles Leclerc to Maranello from 2019. The signing of the 20-year-old Monegasque ends a long time of speculation thanks to his promising performances at Sauber. I really hope Kimi ignores all team orders the rest of the season and get one last win. I agree, but I would love to see him ignore a team order to win. Trouble is, its only the last stint of a race he can ignore orders, If he does it in an earlier stint Ferrari would simply find a sticky wheelnut. Here's to hoping go Kimi. Don't you think it is a bit offensive to constantly claim that Ferrari lacks professionalism and ethichs. Every week you do this kind of remarks pointing how bad Ferrari are to Kimi and how they use disgusting tactics yet you have absolutely no proof or example of Ferrari using dirty tricks to impair Kimi. I know Ferrari did this more than 10 years ago but these men that work there are not the same, and I think man like Arrivabene which for all we see treats both its drivers absolutely fair doesn't deserve this constant bashing from you. You get to the point now of accusing them of using a sticky wheelnut to create a DNF and rob Kimi the win, possibly losing the WCC to give a few points to Vettel incase he doesn't obey orders to move out of the way. Ok I'm sorry, Ferrari give Kimi every chance they do to Seb. They have never given Vettel preferential treatment over Kimi , my bad. 1 thing, Ferrari admited to taking a penalty on purpose for Massa to elevate Alonso. And that was 5yrs ago. So I'd imagine a lot of personnel are still the same. Just saying. Just as an example, what would a team do if Driver B was leading the race in front of Driver A, with 1 more stop to make. They ask driver B to let Driver A go through, Driver B says "go to hell , I'm winning this one. What would the team do with a championship at stake ? First that incident was 6 years ago. If you look at the team composition from them to now I doubt there is many that stayed. Team principal, strategists, heads of department... all changed during that period and if people change mentalities change. Also that is a terrible example because Massa was willing to do it, he didn't oppose it. The same way has the Fernando is faster than you thing. What you say is that if Massa didn't comply they would change the gearbox anyway or create a malfunction on it's car if he didn't get out of the way. I have no idea why do you think Kimi doesn't have the same chances in Ferrari than Seb (except near the end of the championship when he is out of the race). Its not been 6yrs since that happened to Massa. Ferrari have generally had a number 1 driver (its the best way to be to win a WDC) so why would that be any different with Kimi? As for accusing the team of doing something dodgy every week , I'm just following the likes of the other teams and media as Ferrari are regularly being accused of cheating. Correct- pretty sure it’s in the press somewhere about Lauda explaining the conversation he had. In hindsight, perhaps it was an open secret at the time that Merc were going to have an advantage entering the new formula. Or maybe it should have been assumed. As an enterprise, their turbocharging, DI, and hybrid powertrain knowledge would have been greater than Ferrari and Renault. What matters is that people in front of the team changed and mentalities changed as well. When didn't ferrari had a number one driver? Well when did Ferrari hired a 20yo rookie to their team? Is the very nature of this thread not proof enough that they are a completely different team in terms of mentality? 5yrs and 10months to be exact. If you were 5yrs and 10months old, and someone asks you "how old are you?" We're talking years not seasons. Point being it WAS 5 yrs ago that Ferrari were happy to 'sabotage' their own car to help their number 1 driver. Ferrari is still the same as when "il Commendatore" ran the team. If you talk about last year US GP do you say it "this year US GP" then? If we talked about last years US GP I would say last year or last season. I wouldn't say its been a year since last years US GP. Maybe say nearly a year? Like the 2012 US GP has been NEARLY 6yrs. Stuff like that happened that recent and not over 10yrs like you were saying. It wouldnt matter if it was 6yrs anyway. Fact is 2012 will mean a damn load of people at ferrari are still there. And fact is ferrari play games like sabotaging their own car to help driver number 1. Its what ferrari do, theres nothing wrong with it, its one way of trying to gain every advantage! Ferrari are the team that have had a number 1 driver and a number 2 driver more than any other team in history. Why their fans cant see it is nothing short of being unbelievable! I am beginning to think a more challenging driver alongside Seb will be good for him. Perhaps Vettel has been to “comfortable”. To get better, perhaps sometimes you need to be challenged. You can only be that against someone driving the same car and arguably, he has been his own benchmark these last few years. I honestly think Hamilton learned a lot in driving against Alonso, against Button and especially against Rosberg. It has made him a better driver. I think Leclerc will help Vettel be better too, if only to be more challenged. And if there are two strong drivers at Ferrari, he wont have to carry the expectations of the Tiffosi on his own shoulders. Sure, if Leclerc starts beating Seb, it wont be great for him, but sometimes it is what it takes to get better. I am most intrigued about next year. Kimi was just like Rasputin! The man you couldn't get rid of! Finally we are rid of him at Ferrari, thank God, but not sure Leclerc is ready to fill a seat at Ferrari, as much as I like the kid. Still optimistic about the move overall though.